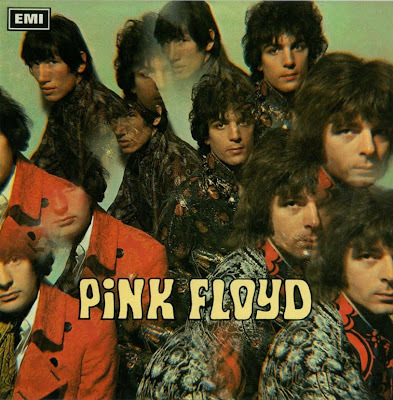 Nick Mason – drums, percussion, vocals on "Corporal Clegg"
Syd Barrett – guitar on "Remember a Day" and "Set the Controls for the Heart of the Sun", acoustic guitar and vocals on "Jugband Blues"
All songs written by Syd Barrett, except where noted. Originally known as Walpurgis, The Lost Album is supposed to have been recorded in Los Angeles and predates the official Divine Comedy release. 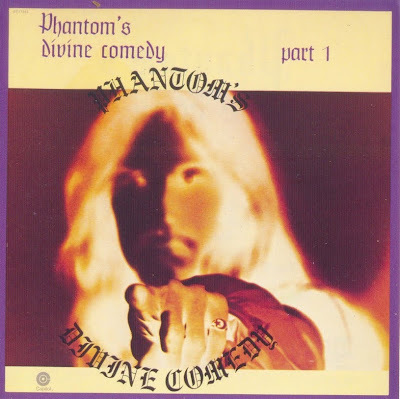 We have been told that the band were re-named by their manager as Phantom, and we know that the line-up which recorded Divine Comedy definitely came from Rochester, a small town about 30 miles from Detroit. On both albums the vocalist sounds like Jim Morrison and indeed Capitol Records issued a statement that it was leading to legal action by Elektra. What of the music? Divine Comedy is highly rated by many, it has a mystical sound and is recommended. Tales From A Wizard and Welcome To Hell, which are both rather melodramatic, are arguably the strongest tracks but a consistent standard is maintained throughout. The Divine Comedy line-up made a second self-titled LP in 1978 under the name Happy Dragon Band (Fiddlers 11 57) 1978, This is more electronic. Nick Drake was born in Burma in 1948 to a very upper-middle class British family. When his parents returned to England half a dozen years later, he spent his childhood at Tamworth-in-Arden (to the northwest of Stratford) initially and later at a Surrey preparatory school and later at Marlborough Public School. His sister Gabrielle was in the TV soap 'Crossroads'. In 1967 he won a scholarship to read English at Fitzwilliam College, Cambridge, although he preferred to write songs and develop his guitar playing than study. He gave some public performances whilst he was at Cambridge and was eventually recommended by Ashley Hutchings (of Fairport Convention and Steeleye Span fame) to Joe Boyd's Witchseason Productions, who were offering a comprehensive management package-agency, publishing and recording. On the basis of a demo tape Drake was rapidly offered a recording contract. His debut album was in many respects stunning, full of haunting, dream-like melodies and unusual guitar work. The best known track is Time Has Told Me by virtue of its inclusion on Island's Nice Enough To Eat sampler. It was later included on a promo-only release in 1986, Island Life (Island ISLAND MP1). The sales from the album were sufficient to encourage Drake to leave Cambridge to concentrate on a music career, although it passed unnoticed by the majority of the record buyers. To promote the album he did a limited number of 'live' performances which seem to have been much appreciated by the small numbers of people who had the privilege to hear him. Generally, though, he had no enthusiasm for touring. His second album, Bryter Layter, was largely comprised of songs written in his spartan bedsitter in Hampstead. It took over a year to complete because he was very fussy about the musicians who he wanted to work with him on the album. Richard Thompson and others connected with Fairport Convention were heavily involved and John Cale played on two tracks, Fly and the shimmering love song Northern Sky. Other highlights included At The Chime Of A City Clock and Hazey Jane I. The critics considered the album stunning but sadly it was too esoteric to achieve the widespread interest and mass sales that some predicted. The fact that people didn't buy the album in great numbers was a major blow and may have been a contributory factor in his growing depression, which was exacerbated by his producer Joe Boyd's move to Los Angeles to work for Warner Brothers. However, Boyd sold Witchseason to Island and made them agree to release any album Drake made as part of the contract. As he became ill Drake quit London to return to his parents' home. He recovered enough to rent a flat in Muswell Hill to record his third album, Pink Moon. Recorded in just two sessions the album was short and very stark compared to his earlier efforts. It just consists of his vocals, guitar and a piano overdub on one cut. Far less accessible than his earlier two albums it inevitably sold in small quantities and is consequently the hardest of his three albums to find. The songs are full of impending doom and depression, but full of creativity and some of his finest guitar playing. Get to hear From The Morning and Place To Be. Another stunning track was the unnervingly delightful Thing Behind The Sun. After recording Pink Moon Nick suffered a nervous breakdown and was hospitalised on a voluntary basis for a few weeks. He had become withdrawn from society and was increasingly difficult to communicate with. He recovered sufficiently to record four tracks for a future album, which he later decided to scrap. He possibly intended to re-record them later, but after a short break in Paris he returned to try out new material but tragically died from an overdose of Tryptizol, which he may well have taken to try and get off to sleep. Those of you who didn't get to hear Drake's stunning work the first time round and who have any appreciation of folk music should be sure to investigate his music now. 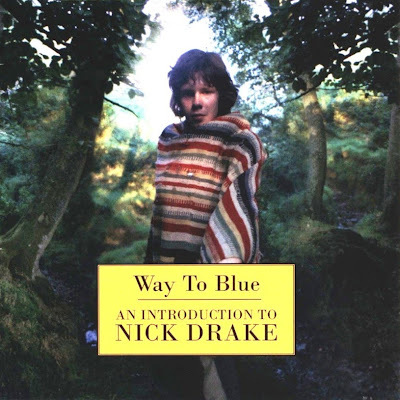 N.Drake was the most talented SSW in U.K. His voice was overwhelmed with sorrow and dark . He died in 1971 and had many unreleased songs. A group originating in Dusseldorf. The von Baksay's escaped from Hungary in 1956 and settled in Dusseldorf. The band Dom came into existence in 1969 and performed live at Cream Cheese, the city's leading club for rock music. 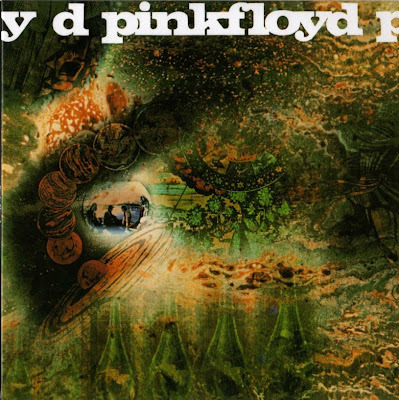 Their private pressing Edge Of Time was recorded in 1972 at the Neubauer studio. Featured on the album were four long and mostly instrumental tracks. 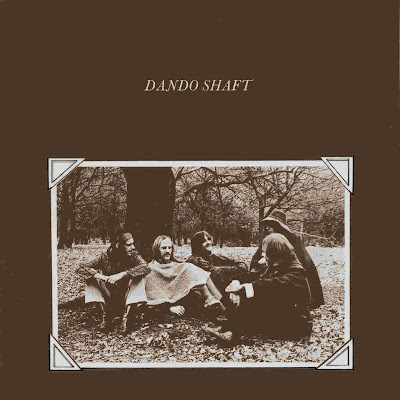 Starting as a five-piece folk-band, Dando Shaft initiated a completely unique mixture of acoustic folk (none of the instruments are electrically amplified!) with driving rhythms and impeccable inventive musicianship. 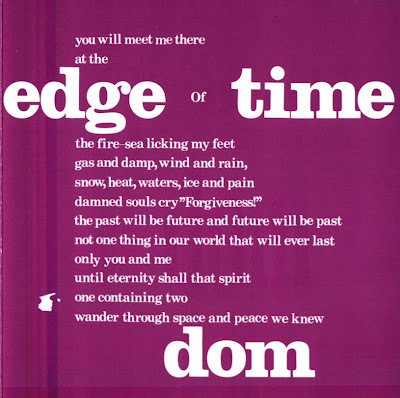 The lyrics are largely concerned with the relationship between man and nature, resulting in song-titles such as Rain, Cold Wind and September Wine as the first three tracks on their first album. They marvel in complicated structures and textures and are able to weave very intricate patterns, especially between mandolin (played in a highly original manner), guitar and violin. Very characteristic is also the combination of hand-beaten percussion and double-bass. After a change of label they acquired the services of a female singer, Polly Bolton, who had a pure and very expressive voice. Their second album brings in some elements of Bulgarian folk-music (asymmetrical time-measures) but is very much stamped by Polly's vocals and superb original compositions such as Whispering Ned, a rather funny drug-song and above all the achingly beautiful Riverboat. Preoccupation with travelling becomes discernable in Railway (a live favourite) and Kallyope Driver. After Neon folded they made another album on RCA, very much continuing in the same direction, although not as good as their previous effort. Road Song is another pulsating travel-song and Black Prince Of Paradise equals any track on the second album. Rumour has it, that another album was recorded for RCA, but due to lack of commercial success it never saw the light of day. Some seven years later some kind of reunion was attempted, but with the usual ambiguous results. Nevertheless, the magic returned for full on Stroller In The Air, an excellent composition and, at least partly, on Trees, a deceptively simple track with great atmosphere. Judging from a BBC Transcription disc, they were also a good live band. All their albums are worth investigation.